Harkiss Designs empowers women. Your purchase changes lives. Together, we get to live fashionably and leave the world a better place. The handcrafted accessories and fair trade gifts offered by Harkiss Designs are based on compassionate capitalism. Every product is made by East African artisans (most of whom are women responsible for supporting their entire family) in the comfortable and safe setting of a co-op in their community. We carefully selected these talented artisans and the sustainable materials they use—fabric woven from the pulp of the kukui nut and beads sourced locally, for example. 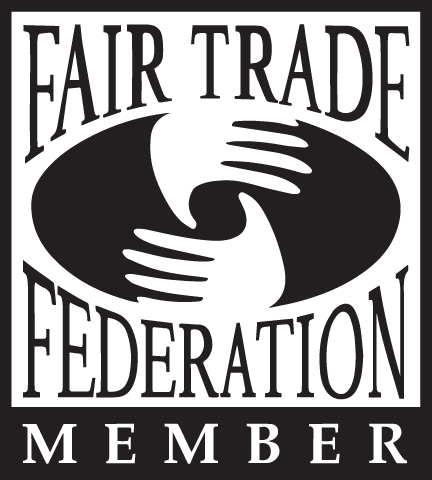 Harkiss Designs is also Fair Trade Federation Certified, so you can trust that each and every product is ethically sourced and produced. Your purchase at Harkiss Designs not only benefits the East African artisans who create the products, but it also supports the efforts of our sister organization, Lend A Hand Uganda (LAHU-USA). LAHU-USA helps homeless, orphaned, and at-risk children in Kampala, Uganda, find homes, go to school, and get basic health care. Rather than just providing financial support, LAHU develops projects that teach children to become self-sustaining. We believe that skills training and community development programs are essential for real change to arise. Help us make the change Ugandan young people deserve. Support Harkiss Designs with your purchases or by making a donation to Lend a Hand Uganda directly at lahu-usa.org. As a New Yorker of Ugandan descent, Harkiss Designs Founder and CEO, Harriet Zaffoni is deeply invested in East African philanthropy. Through LAHU-USA she collaborates directly with overseas organizations to tackle a range of challenging issues including poverty and gender inequality. Her intent is to mitigate the inherent hardships of being a woman in East Africa with an empowering sense of purpose. Harriet makes the journey to her native Uganda at least three times a year to nurture community homes and hold small workshops where East African artisans translate her designs into jewelry, accessories, home decor, and footwear with international appeal. Contact us to learn more about Harriet and our fair trade products made in East Africa.